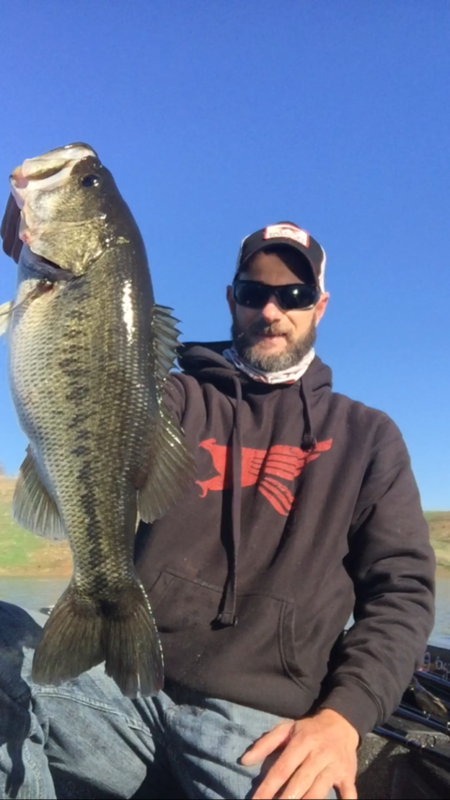 Living in the mother lode I am fortunate to be able to fish these great fisheries !!!! 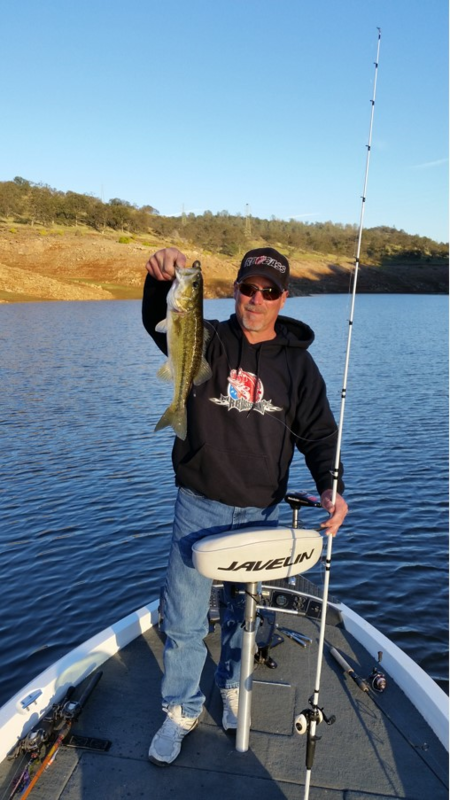 This time I picked lake Amador, it is no doubt one of the most under rated largemouth fisheries in Northern California. With our first real cold snap coming in after a big storm and a 28 degree start in the morning I decided to pull up on a point that I have caught them on for years in the winter months. This point is near Jackson creek I was using a Bass Assassin rail worm in red bug color with a 3/8 ounce pegged weight and made six casts or so and BOOM got my first bite and it was a good one! 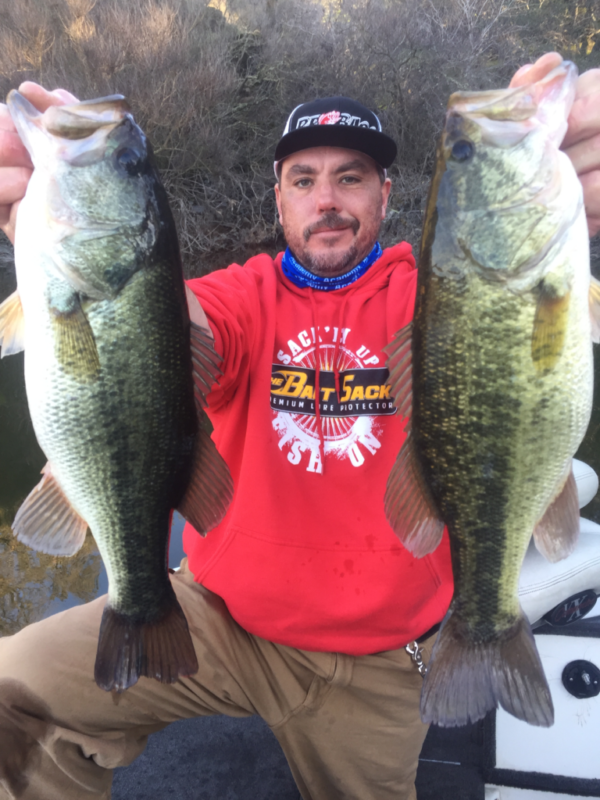 I went back and forth over the point a few more times with the rail worm and picked up a couple more fish, knowing the way fish stack up on this point in the winter I picked up the jig in brown and purple and quickly picked up two close to 5 pounds after making a few more passes I switched baits again to a fat job worm witch is also made by Bass Assassin in green pumpkin color rigged whacky style with a 3/8 nail weight and picked up 3 more good ones. One of the biggest keys was to slow way down, I was counting rocks…. I mean slow !!!!!!! I started to think about my next move and made a short run to another point were the creek channel swing comes right over the point and I’m getting right up on the bank and casting out to 40 ft and dragging my baits up hill , I feel this time of the year it very important to do this for plenty of reasons and I quickly started picking up fish rotating 3 baits and I stayed in the Jackson arm and absolutely hammered 4 pounders! As soon as I got off the points and back in the pockets the fish seem to get smaller . Things to remember it’s winter slow down also stay close to river or creek channels points are a good place to start especially when the channel swings over the point and last but not least when you find one there’s almost always more.